One of the most important nutrients in our diet is iron. It helps proteins in carrying oxygen to different parts of the body. A deficiency of this mineral leads to abnormal and inadequate formation of red blood cells, leading to anaemia. Anaemia is a health condition related to the low levels of hemoglobin in the blood. When our body lacks the insufficient amount of iron, it cannot produce enough hemoglobin to continue uninterrupted supply of oxygen in body tissues. This impairs productive functions of brain and muscles. This is one of the most common nutritional deficiency around the world, especially among women. According to WHO, an estimation of nearly half of the world’s 1.62 billion anaemic issues has been cited to deficiency of iron micro-nutrient. These reasons are unavoidable but can be reversed with time. Another important cause of iron deficiency is a poor diet. Not just adults but an unfulfilling diet with inadequate iron supply may lead to severe anaemic conditions in children. However, this can be averted. Fill your plate with iron-rich foods like tofu, spinach, beans, fruits, and veggies. Non-vegetarians should opt for fish and meat. Some common symptoms of iron-deficiency are dizziness, pale skin, fatigue, shortness of breath, and palpitating heart. Below are put together some unique symptoms that are characteristic to iron-deficiency. Are you one of them? Check these symptoms to find out more. Those with iron-deficiency often tend to have odd cravings to eat dirt, chalk, cornstarch, clay, paint chips, ice or paper. This craving and eating of non-edible substances are called pica. Ice is the most common craving that doctors observe among anaemic women. This is a strange pica condition called pagophagia. Visit a doctor and increase your iron intake to get rid of this condition. Nails are an outgrowth and might seem unrelated to the rest of the body, but their appearance tells a lot about any underlying health condition. Nails get easily prone to breakage. This is also a symptom of calcium deficiency, but spoon nails may define an underlying iron-deficiency. This condition of spoon-shaped nails is called koilonychia. When the internal bed of your nails sinks in, it looks just like a spoon, hence the name spoon-shaped nails. When you experience such condition that is not the result of any trauma, pay a visit to the doctor for an iron-deficiency test. Chapped and dry lips are quite a common occurrence in cold weather and usually are the results of dehydration. But those with iron-deficiency, experience cracked lips in the corner of the mouth. This condition is called angular cheilitis. As per a study, 35% of the 82 people with angular cheilitis had iron deficiency. Restless leg syndrome (RLS) has been associated with iron deficiency. There is a constant sense of unrest in your legs owing to a tingling, burning or tugging sensation. At times, you might also feel insects crawling inside your legs. Research studies have suggested that lower the iron levels, RLS gets more serious. Swollen tongue – Doctors can often say if you have an iron-deficiency by taking a look inside your mouth. The bumps on the tongue are often not visible. Due to low hemoglobin, the tongue gets swollen, inflamed and sore appearing to be strangely smooth. These symptoms are strong indicators of iron deficiency. What is the recommended daily intake (RDI) of iron? As per the medical understanding, the RDI of iron is 8 mg for an adult male and 18 mg for female (it can decrease to 8mg after menopause). But it is much higher for pregnant females. as much as 27 mg. Since iron is also required for an optimal immune system, a shortage of it will hold you susceptible to infections and illness. 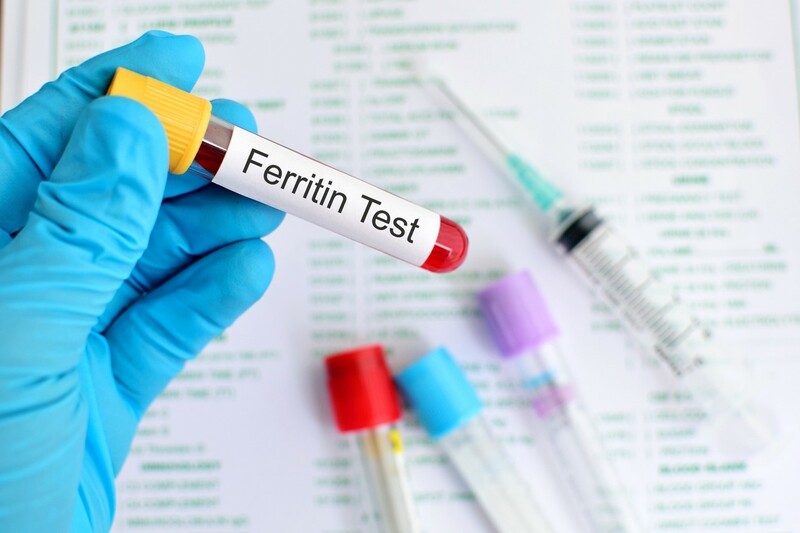 Visit your nearest doctor and opt for a ferritin test to check for iron deficiency. Book appointment at your nearest diagnostic centre. You could also opt for a home sample collection. Why You Don’t Need to Worry About Kidney Stones Anymore?